It's hard to really explain in words how incredible our experience was. Being totally immersed in the sounds of the birds, the trees, the ocean, the views, the bed, the aesthetic, the SHOWER, it was all a 10/10. Would absolutely stay again and recommend without a doubt! We got there at night time and I kind of doubt my decision on the cottage but next morning I was so happy. It was what we were looking for, something away from busy and loud but we drove to turístic places when we wanted to. This property is even better than it looks! The outdoor kitchen over looking the blooming tropical flowers and the open air shower added extra magic to this location. Everything you could want was provided from sunscreen to plenty of beach towels and chairs The kitchen is well-stocked Waking up to the birds in the beautiful bedroom was such a treat! This place was perfect for my husband and I. If you like quiet mornings with only the sounds of the birds, views of the bay, amazing sunsets and a pure oasis feeling of truly getting away from it all this is the place for you! We enjoyed the fully stocked outdoor kitchen, complete with a couple friendly geckos and the shower which had open windows to view the water as you relaxed. Bed was very comfortable for us as we like a firmer mattress. Everything we needed was here, beach towels, snorkels, ice-chest, boogie boards. The locations is divine, we like to get away from tourist areas. Highly suggest renting kayaks from the neighbors down at the bay and snorkel at Captain Cook. You will not be disappointed. We don't often return to the same places we've visited but this one is a keeper. 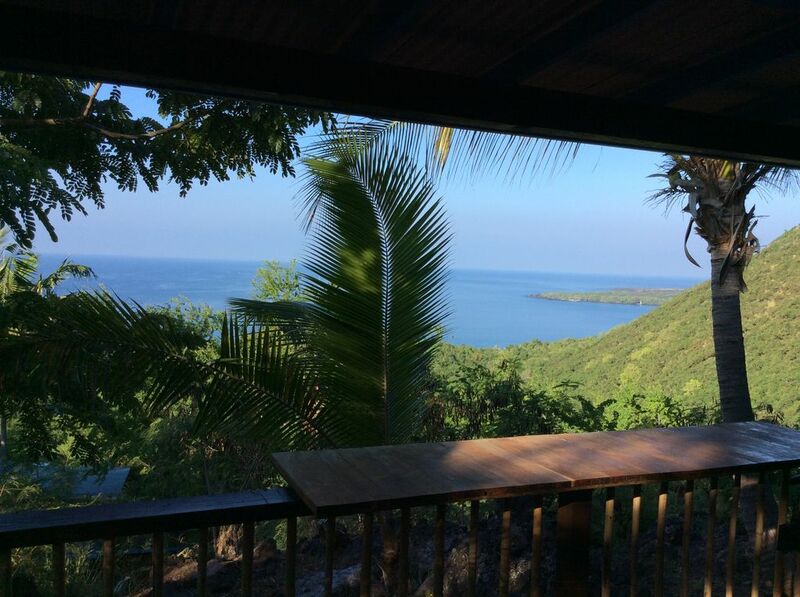 Michael and Gus have a sweet location and charming, affordable, almost-tree-house nest just above Kealakekua Bay. Very easy living in this nicely organized rental. I recommend it. My wife and I had a wonderful time here! The cottage was clean, private, and comfortable, and the owners/caretakers were very accommodating and friendly. Also, we swam with dolphins in the bay just below!